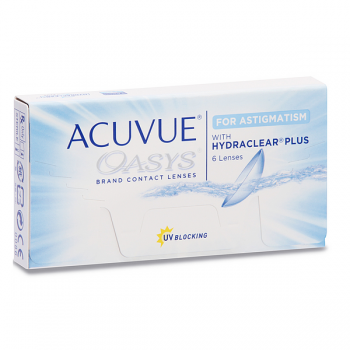 Incase one is experiencing blurring discomfort or fluctuating vision with their current lenses with Acuvue Oasys one can overcome the above problems. Its design is the revolutionary BLINK STABILIZED lens design. The comfort comes from the HYDRACLEAR PLUS Technology. As a result the vision is clear and comfortable especially for people with active lifestyle. 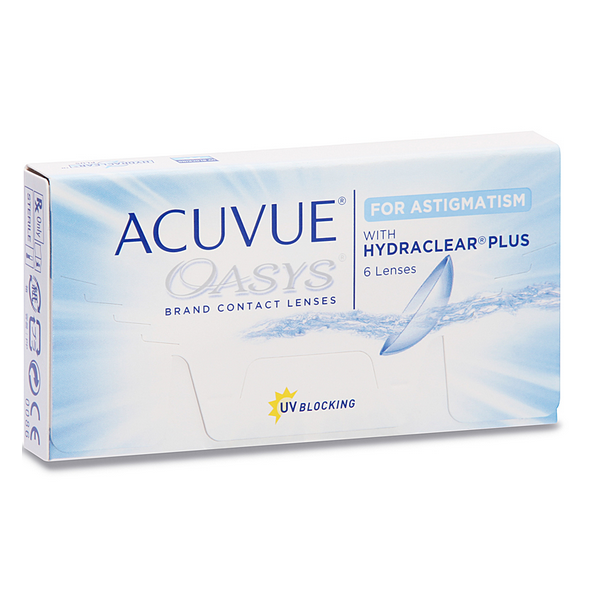 For patients with astigmatism and dry eyes these lenses are one of the best options available. They are available in a variety of axis and cylindrical powers."